From the advice of those University collaborators in Astronomy, it was recognised that moon sighting would be difficult given the age of the moon and its relative position and angle to our location in the western hemisphere. On the basis of precedent, the general practice by the Ulamaa was the acceptance of the regional sighting from countries in close general proximity, specifically Guyana and Grenada – two of our immediate neighbours in the region. Based on historical trends, the Ulamaa would be notified from their respective followers of any local moon sighting and they would communicate amongst themselves for a final position and agreement. It must be noted as well that there have been controversy in the past by some groups (those based locally and also from those international groups with or without local representation) who have advocated for Ummah-based sighting – so that when the moon is sighted in Mecca we can accept their sighting and our calendar dates would be consistent. This has generally been rejected by the local Ulamaa since the longitudinal and basis for declaration of the start of the month vary. On the night in question, no one locally saw the moon, but it was advised that the moon was sighted in Guyana by a small number of Muslims from various organisations. Contact was made with known Muslims in the community and those contacts were among the persons who saw the moon. They declared Shahada, and testified that they in fact saw the moon – a practice of acceptance established in Hadith. 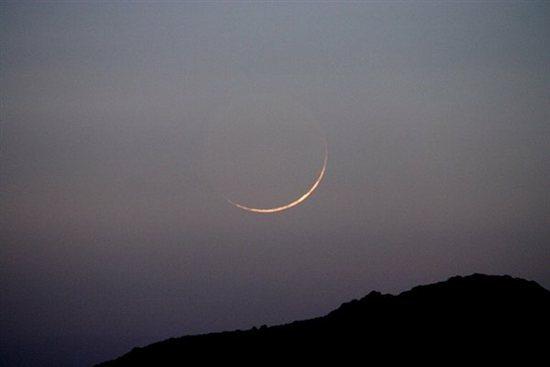 On the basis of this sighting, some of the Ulamaa announced that the next day – Thursday August 8th, 2013, would be the Start of Shawwal and the observance of the Eid-ul-Fitr celebrations. Others adopted a more cautious stance and decided to withhold their announcement until their connections in Guyana could verify the sighting. All the while, Imams at the various Jamaats were waiting with their congregations to either declare Eid on Thursday or pray the Taraweeh salaat. One organisation in Guyana reportedly advised their members (and their contacts in Trinidad) that the moon sighting was not being accepted, and that they (i.e. the organisation) were observing Eid on Friday August 9th, 2013. A prominent local Muslim organisation and Individual Ulamaa decided to accept this position and declared Eid was to be observed on Friday. They proceeded to observe the Taraweeh salaat – which derivatively meant they were in effect unavailable to their followers and other inquirers to offer their considerations. Amongst these awaiting groups included the media – seeking to advise the public and other Ulamaa seeking clarification of the position. Another Guyanese organisation advised their public that they were not accepting the moon sighting, and that Eid would be on Friday. This was also communicated to the Trinidad Ulamaa. All of this – being imposed within the already uncertain context of acceptable moon sighting, led to further confusion within the community. Within one national Muslim organisation, some of the Ulamaa and Executive issued contrasting positions and thereby gave contradictory advice on the day of Eid. Some of these relate to diverse positions in Fiqh based on the different schools of thought, and in this regard the overwhelming majority of persons locally and throughout the world follow the Fiqh of Abu Hanifa – by which we as members of the Ulamaa are also guided. At or around 9.00 pm the Ulamaa were able to establish communication, and the justification for the non-acceptance of the sighting was stated by an individual Ulamaa – essentially brining into question the reliability of the witness accounts. The specific refutation was “perhaps they saw a star or another planet and mistook it for the moon.” The other prominent institution following the deference of Eid gave no justification, and subsequently advised they take the Guyana organisation’s stated position without question. The Ulamaa and the Executive of the organisations involved in this matter agreed that the internal disputes in Guyana was a basis for Trinidad defining their own position, and as such were able to define the final position – The month of Ramadan had only 29 days, the moon was not sighted locally and there was controversy in Guyana as to the acceptability of the moon sighting. As such, it was decided that Eid would be observed on Friday August 9th, a consensus agreed upon by the local Ulamaa and which was then issued by the various persons involved to their respective audiences, through the available media channels online and offline. Those who previously advised that Eid would be on Thursday retracted their statement and reissued the revised position. The matter was further pursued by myself and it was determined that those who sighted the moon included six Muslims in one location and five Muslims in another – some of these being Imams and heads of their organisations, and known to be upstanding individuals within their territories. This then brought into question the basis on which their sighting of the moon was rejected. The contacts within the organisations were approached, and the question was posed. To date, the responses gave some indication of the process used to determine moon sighting, but no specific rationale for rejection of the sighting of upstanding members of the Muslim community within Guyana was given. It was further learned that the Guyanese organisations in question were involved previously in legal contentions, which made the rejection a seemingly inter-organisational political stance and not necessarily a position based on Islamic Shariah. 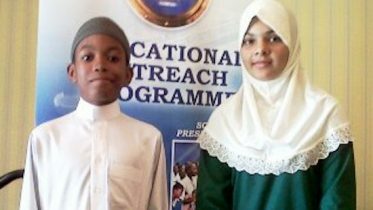 Reports also surfaced on the morning following this debacle that the moon was in fact sighted in Mayaro, Trinidad, by two Muslims who failed to report the sighting to their Imam or to any person or position in authority, or media house. In a similar vein, information in the public domain is that one organisation who initially rejected the moon sighting, reversed their position and informed their community that although they would be observing Eid on Friday August 9th, this was being done on the second day of Shawwal, and that the moon sighting on the night of Wednesday August 7th was accepted as valid. It is my conclusion that in this instance, the persons who rejected the moon sighting on the night of Wednesday August 7th in effect allowed themselves to be misguided, misguided their members, and by extension misguided those in Trinidad who follow their lead and evidence. It is also my conclusion that those local scholars who are aligned to specific organisations in other countries need to revisit the Islamic Shariah that guides in this instance moon sighting – and pay particular attention to the Shariah that informs the examination of evidence and the declaration of Eid, since it would serve them and the entire Muslim community well in future. The recurring issue of moon sighting and acceptability requires institutionalised infrastructure among the decision makers to collaborate proactively and communicate – among themselves and to the wider publics. It needs to be noted that some measures have already been initiated and have progressed to an advanced degree to provide the required institutionalised support. The public is assured that further statements on this will be forthcoming as developments unfold, Inshah Allah. It must be noted that these aforementioned measures would only relate to those committed to a unified, integrated Muslim community in Trinidad and Tobago (and by extension the region), but unfortunately these measures would not quell the issuing of already unaccepted positions of persons intent on following minority factions in other parts of the world, or in other iterations creating mischief within the community. Finally, this issue also surfaced the need for the members of the Muslim community to recognise and defer to the authority of the scholars in such issues, show some restraint as the collaboration progresses, and not issue their own misguided or misunderstood positions in the heat of the moment and risk the same mistakes that manifested in our regional counterparts. WE ARE ONE UMMAH, and the way for this to be realised and sustained is the adherence to the Quran and Sunnah. This can only be achieved if the esteemed Ulamaa – who are versed in advanced study of the Islamic sciences and schools of thought, and all of whom I hold in high regard – are allowed to lead the community in the ways which are defined within Islam, and in those areas to which they committed themselves, their lives and those of their families. May Almighty Allah continue to Guide us and have Mercy on us all. Be the first to comment on "ON THE ISSUES AND FINDINGS OF THE MOON SIGHTING CONTROVERSY TO MARK THE 1ST DAY OF SHAWWAL 1434"